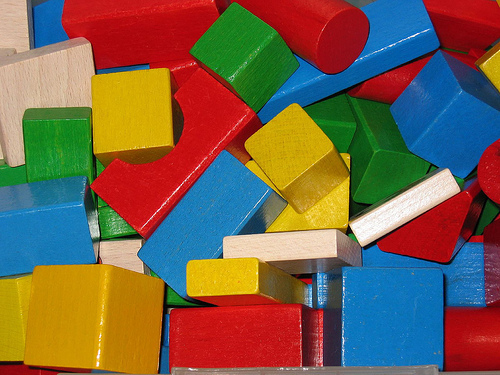 Does Your Digital Marketing Contain These 5 Building Blocks? Posted on July 15, 2011 by Heidi Cohen in Marketing | Comments Off on Does Your Digital Marketing Contain These 5 Building Blocks? Do your digital marketing plans incorporate these five crucial building blocks? The proliferation of technology platforms and marketing options can be confusing when plotting your business’ course. The newest shiny business tool can sometimes blind marketers. As a result, it can be difficult to ensure your marketing plans contain the most relevant and effective components. To help you keep your digital marketing on course to achieve your firm’s objectives, here are the five major elements to integrate into your plans and why you need each one. Website. Every business, regardless of size, needs a online home base. While acting like a business card, in today’s wired world, your website must go beyond being a few static web pages. Smaller businesses may be able to leverage blogs cost effectively. Others may need to integrate a blog to expand their content marketing so that it’s search optimized. Search optimization. Just as customers looked up businesses in the telephone book in the pre-Internet days, they now turn to search, whether it’s on their computer or mobile device. To this end, it’s critical you show up for the words prospects use when and where they look for your business or services. This translates to thinking beyond just search engines. Include mobile search and search-like offerings like Yelp, TripAdvisor and Zagats. You must consider where people look for your products and how they’re reviewed. Don’t overlook the power of Amazon for providing this information. Social media. Social media is the 900 pound gorilla of digital marketing. It’s where people spend their time. Further, an effective social media marketing strategy supports search optimization and leverages content marketing making it synergistic with the rest of your digital marketing mix. This doesn’t mean that you should jump onto every social media platform. Rather start by using the format(s) that’s best for your brand or product. Understand that social media isn’t free and that you can expand your usage over time. Communications. Regardless of the type of marketing you use, communications are the glue that keeps you connected with your prospects, customers and the public. On digital platforms, email is often the communications format of choice since it’s cost-effective and quick. But don’t overlook landing pages, automated responses, chat and old-fashioned phone calls as well as social media options. With the introduction of social media, communications have expanded beyond one-to-many and one-to-one to include many-to-many. Mobile. With an increasing number of people using smartphones, adding a mobile component to your offering is critical. (Depending on your business, it may also be useful to consider how your digital marketing appears on tablets (aka iPads.)) This is particularly important for merchants and other local businesses that people look for on-the-go. (Here are the six must-do mobile basics.) Remember customers check your website and your competitors for more information while they’re shopping in a retail establishment. Regardless of the size of your marketing budget and the complexity of your business offering, what’s critical when using these five digital building blocks is to ensure they’re integrated and work together seamlessly. Further, your brand should be consistent throughout your online marketing. Is there anything else that you’d put on a must-have digital marketing list? If so, why would you add it? Please add your suggestions in the comment section below. Here are some related articles of interest. Tags Communications, Digital Marketing, Mobile marketing, search optimization, Social Media, Website. Bookmark the permalink.